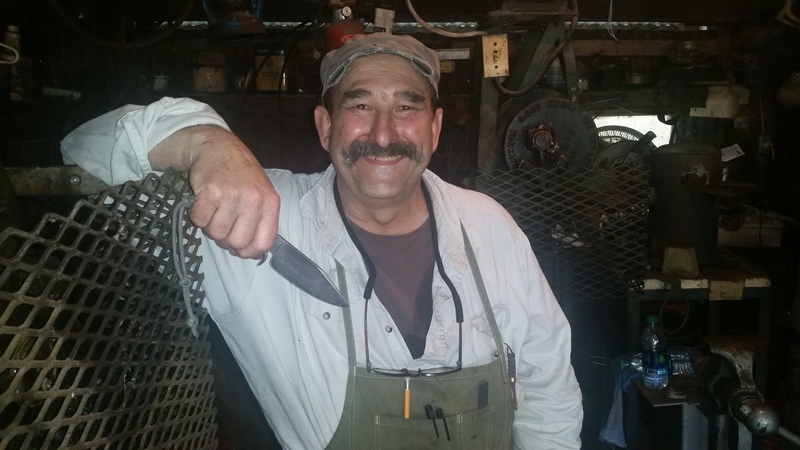 This two week course is designed for anyone interested in making high quality hand forged blades and includes lecture and hands on work, all taught by ABS Master Smiths. Metal selection, blade function and different blade design will be discussed. Hand forging to shape, normalizing, heat treating, grinding and tempering will all be taught. These semi-finished blades will be tested for their cutting ability, edge holding, hardness and flexibility. Handles and guards are not apart of this course but be thoroughly discussed and students should be prepared to venture into a handles and guards course next. Students should be able to make a blade which will pass the equivalent of a Journeyman Smith Performance Test. Successful completion of this course will reduce the required three (3) year waiting period as an ABS Apprentice member by one (1) year and will be eligible to submit their knives for ABS Journeyman Smith judging in two (2) years. visit the American Bladesmith's website.